Named after the donor the school was established in 1949. It imparts education from standard 5th to 10th. Medium of instruction is Gujarati. A large number of girls take part in various cocurricular activities like elocution, singing, dancing, fancy - dress shows and games etc. They also appear in Hindi, Sanskrit, General knowledge and Talent Search examinations, conducted by various bodies. 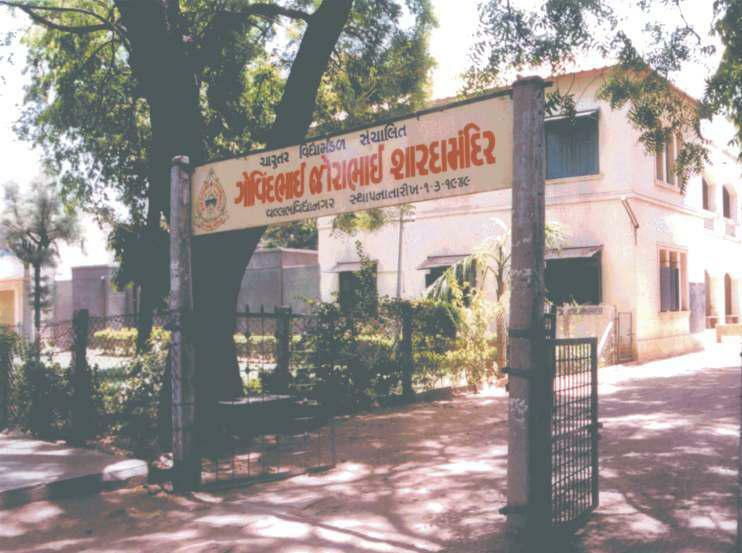 The school has a computer laboratory funds for which came from Govindbhai Jorabhai Patel’s Family. The subject of computers is popular among students.